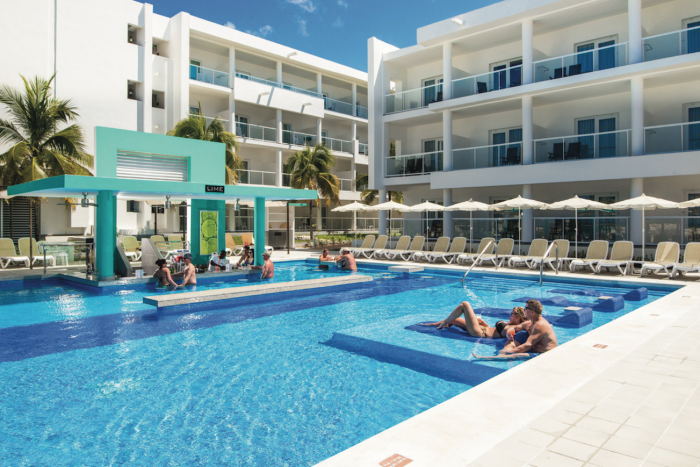 This adults-only, all-inclusive RIU resort in Montego Bay is a stunning location ideal for wedding celebrations that run into the night. 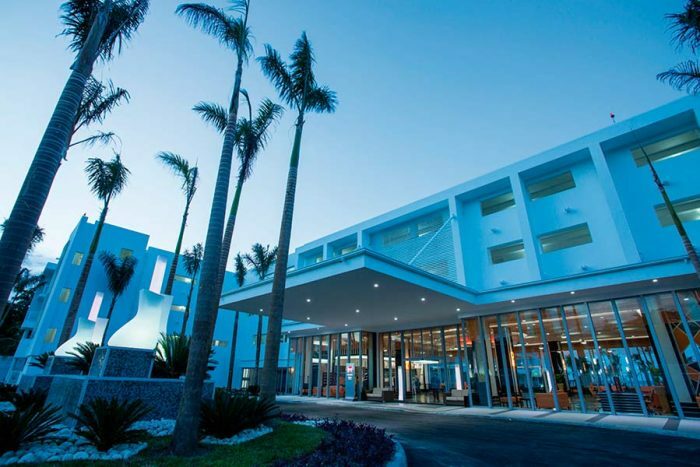 The RIU Palace is ideal for a modern ceremony, thanks to the elevated design in the lobby and bars, paired with gorgeous infinity pools overlooking the ocean. With an RIU Resorts Jamaica wedding, you get close proximity to many activities on and off-site for your guests, including nature excursions. 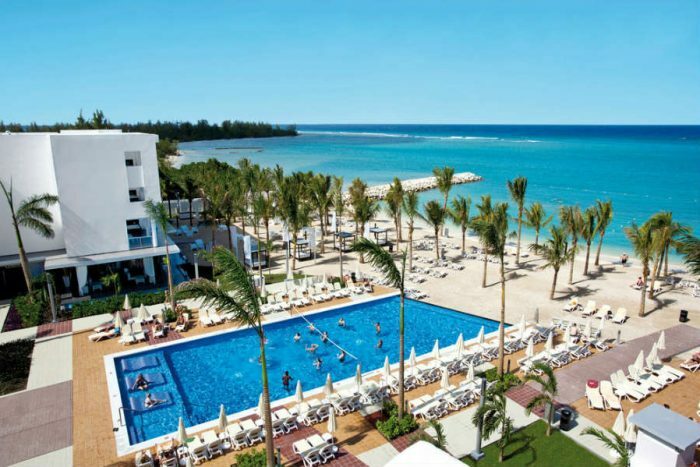 Since it is a sister property to the Hotel RIU Montego Bay and Hotel RIU Reggae, wedding guests have some exchange privileges for both, including access to further beaches and pools. Plenty of nightly activities, including reggae concerts and a nightclub that plays music until 2am for after your ceremony. Add ons available. Upgrade to Classic Package for more guests. Free package welcomes up to 10 guests including the couple and allows more at an additional cost. The Royal package allows up to 20 guests and begins at $1700. Upgraded packages, additional guests, and add-ons are available for an additional cost. Beach – 40 guests max. 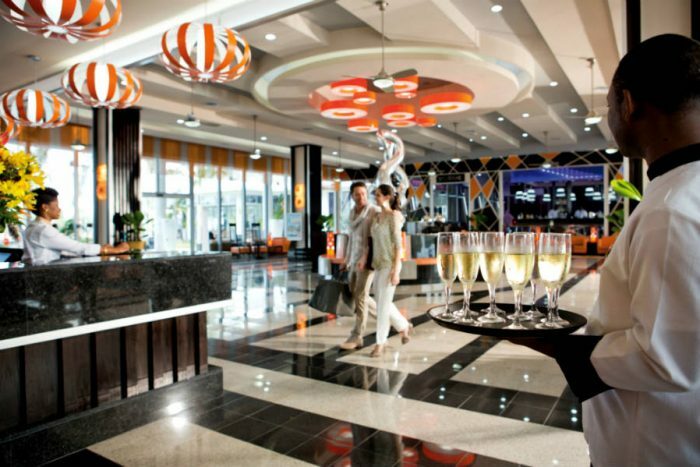 RIU Palace is able to hold up to 3 weddings per day; at 12pm, 2pm, and 4pm. These are the only times judges and ministers are able to perform daily. The wedding coordinator typically responds in 2 – 3 days. $190 – $250 average price per person per night. Free Wifi and 24 hour room service are included. 238 rooms with resort view and ocean views. 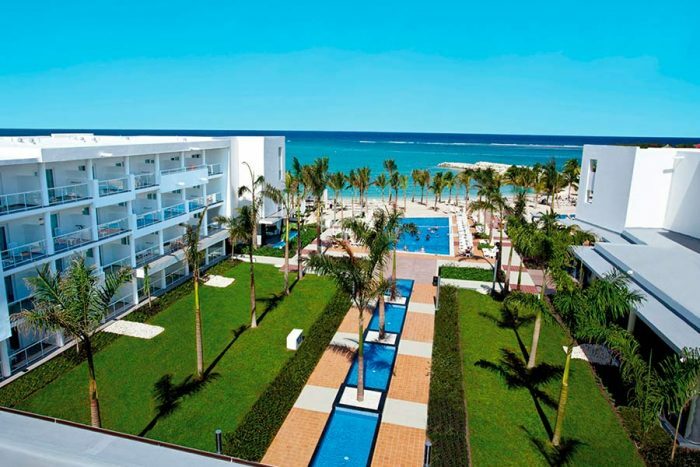 Since RIU Palace is adults-only it typically draws an audience of young couples and groups of friends. The hotel’s busiest months are January, February, June, and July. Due to the small size of the property, there is a high chance of sell out during these months. 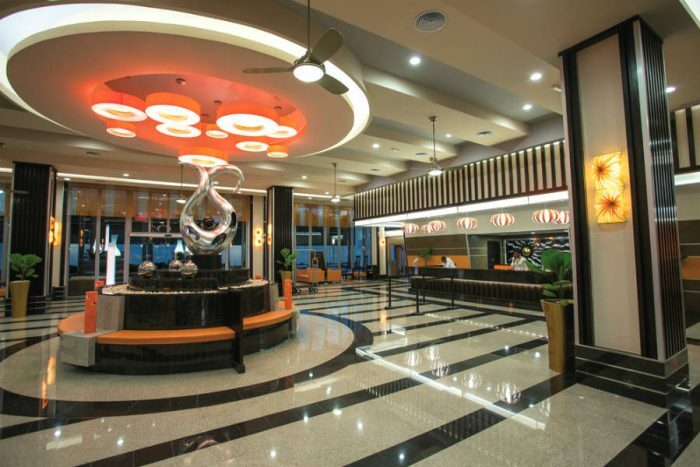 Located 1.5 miles away from the MBJ airport, which makes travel time quick from the airport to resort. 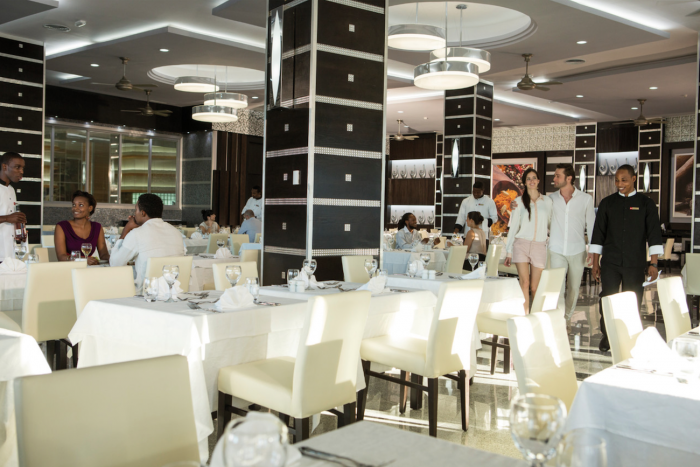 RIU Palace is able to hold up to 3 weddings per day; at 12pm, 2pm, and 4pm. These are the only times judges and ministers are able to perform daily. 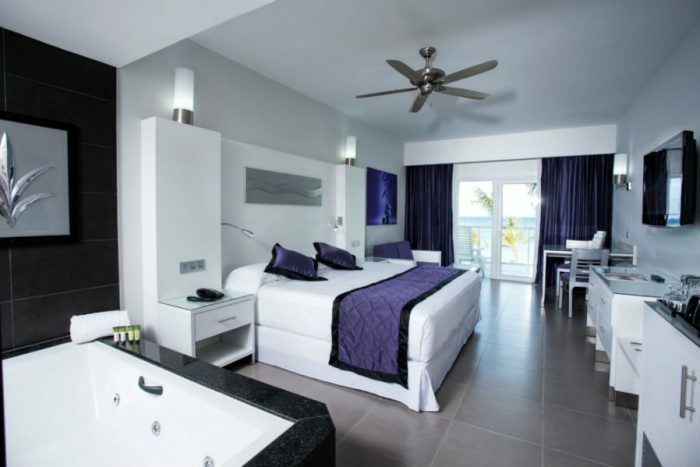 Located 2 miles away from the MBJ airport, which makes travel time quick from the airport to resort.